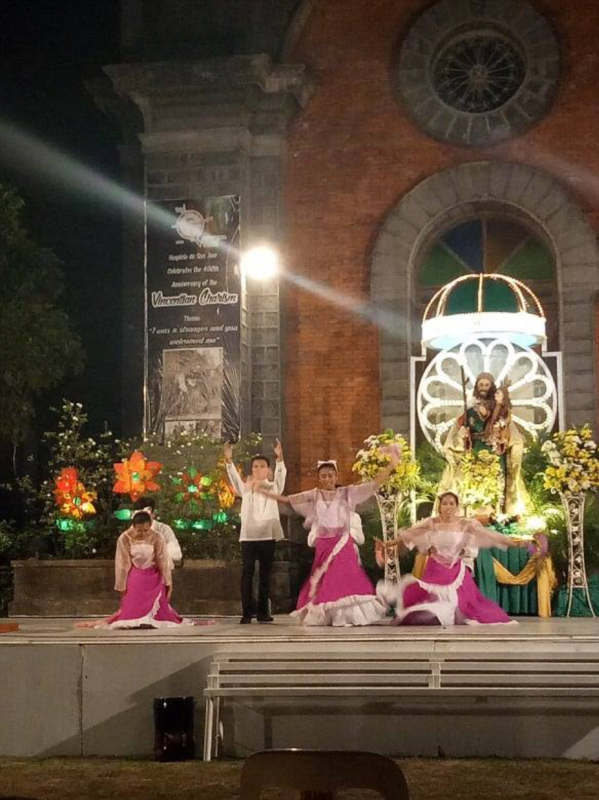 On March 16th, Hospicio De San Jose celebrated the feast of St. Joseph with mass and festivities. Part of this celebration is honoring and awarding the benefactors who never get tired of giving aid and support to this institution. 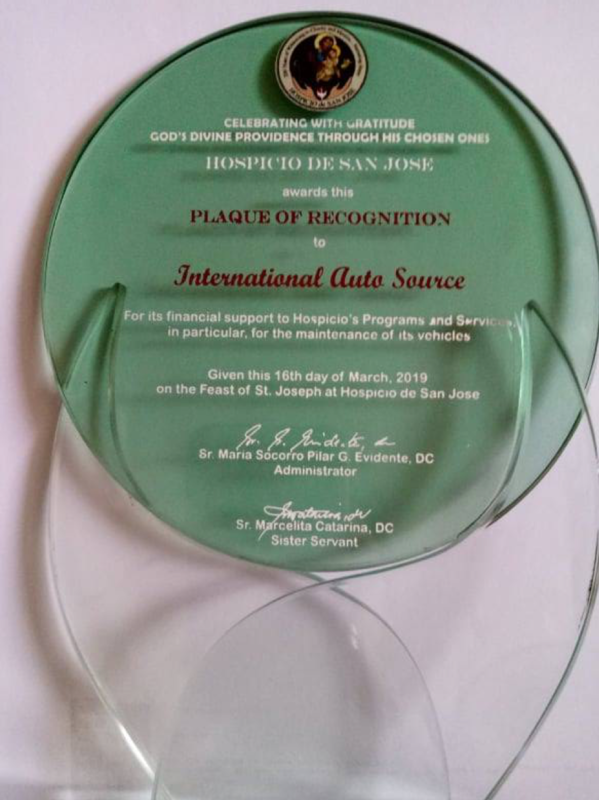 International AutoSource was one of the companies that were recognized at this celebration and given a plaque of recognition. IAS believes in giving back and feels privileged to be a part of these children’s lives. We look forward to making future contributions. 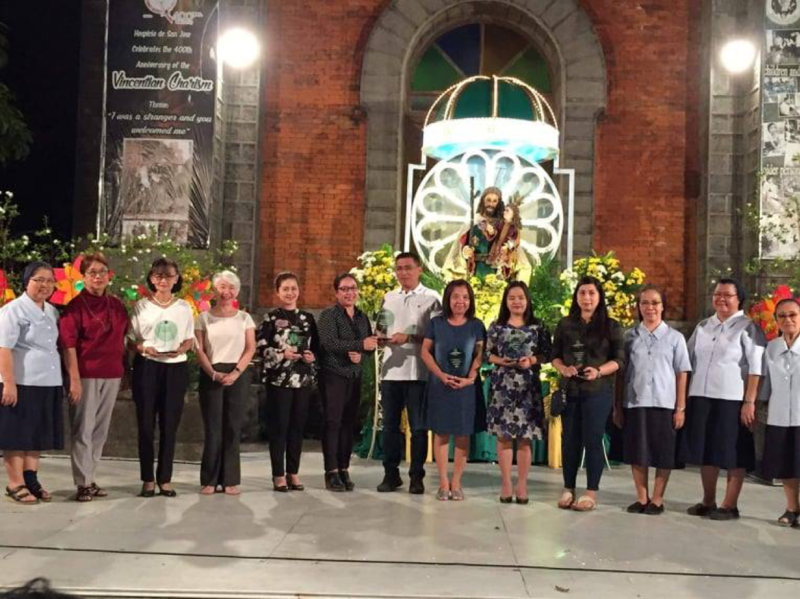 In January, IAS traveled to Hospicio de San Jose in the Philippines as part of the IAS Gives Back initiative. This is an annual visit to this Catholic welfare institution and home for orphans, special needs children and the elderly we make to donate money earned from every vehicle sold through our Healthcare Program. Since 2010, IAS has been visiting Hospicio de San Jose. This year we made another generous donation, and we look forward to making future contributions. In the past eight years, we have shown our support by donating almost $60,000 to the orphanage. 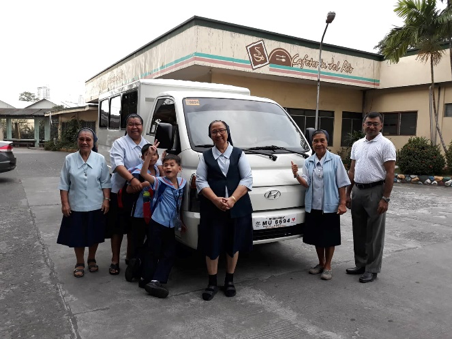 With this year’s donation Hospicio de San Jose purchased a van to transport children to and from school. Each year we enjoy being able to give back and see the smiles on theses childrens’ faces. They remind us that we’re making a difference in their life with the contribution we make. IAS has helped over 50,000 expats get vehicles in the United States. We have strategic partnerships with leading vehicle manufacturers offering preferred pricing and financing options without a U.S. credit history to healthcare workers. Our Product Specialists guide them through the process from vehicle quotes to registration, licensing and delivery of your vehicle. We contribute a portion of the money from each vehicle sold through the Healthcare Program to this amazing cause.